Nikola Tesla is quite the cult figure, especially after the 90s with a lot of inventions being attributed to his vision and experiments including wireless communication. However, he is also the scientist who became rather obscure after his death in the 1940s and even during his life; he was often described as the mad scientist. Best known for designing the modern alternating current (AC) supply system, this is a short biography of the scientist by Hourly History. The book starts with his birth in modern day Croatia, how he was very sharp in studies but eventually dropping out of college because of his gambling addiction. It goes to describe his working life with telephones at Budapest and job as a teaching assistant in Prague before finally moving on to the United States. He initially worked for Edison and later, with his game changing invention of a working alternating current (AC) system for Westinghouse, became Edison’s direct competitor. It talks about his legal disputes with Marconi over the invention of radio. Tesla was debt-ridden and the book eventually ends with his death in absolute penury and moving into obscurity. The book brought out the fact that Tesla was a visionary very well; that he imagined things and he worked to create them, even things which were unimaginable in his time such as wireless technology or alternating current. It also brought out how Tesla didn’t care for money so long as he was given his space to conduct experiments and invent things, such as how he tore up the royalty agreement with Westinghouse when the company was in crisis. 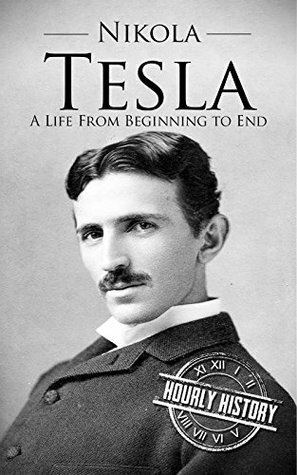 The book was slightly annoying in parts, wherein, no less than three times was it mentioned that it we must all be thankful to Tesla for the radio, the smartphone we are holding, the tablet we’re using, etc. While the need to acknowledge his contribution is fine, I don’t think it is logical to expect people to thank Alexander Graham Bell when they dial a number, John Logie Baird when they switch on the television, etc. Similar to my point on Isambard Kingdom Brunel’s biography by Hourly History, Tesla too was an engineer and some diagrams and illustrations would have helped (such as the Tesla coil). Tesla did achieve a lot of things, but certainly not as what the cult projects, as being the inventor of practically everything and I might have appreciated the book more had they dedicated a small paragraph in the conclusion debunking those myths (such as Tesla inventing radar technology). I would award the book a rating of six on ten.